Guides describing features of rogue software and the ways to remove it. 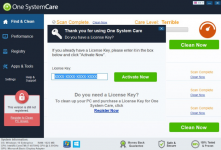 Easy instructions to uninstall rogue software completely and tips on how to avoid it. 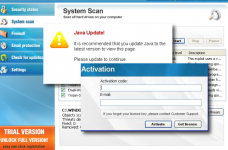 WindowsActivationUpdate is a malicious program that tends to swindle the victims and lure them into calling fake technical support. The program doesn’t perform any hazardous activities directly, however it doesn’t mean that it is completely harmless. After the installation WindowsActivationUpdate forces computer restart and then shows a roguish screen instead of a usual login one. YTDownloader is a browser plug-in that was marked by many security experts as an adware and a potentially unwanted application. And here’s the reason why. YTDownloader is presented as an application developed by Goobzo Ltd., which allows its users to download videos from Youtube and then watch them offline. MTView, also referred to as mtviewer.exe, is a potentially unwanted program that may bring a great amount of problem, though it cannot be called a virus due to its mostly non harmful nature. 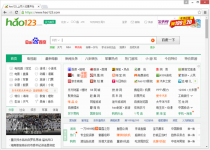 The application was developed by chinese manufacturer Zhu Weiqin, and set the Chinese language as the default which makes it more difficult for users to operate or remove MTView. 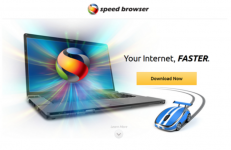 Speed Browser is a program that is promoted as an application which will improve browsing speed and safety. Nevertheless, the majority of security experts recommend to avoid the browser, as it proved to be an adware. For an inattentive user, or for a user who has believed the promotional description of an application, WareOut seems to be a powerful anti-spyware tool. Unfortunately, in the end they understand that installing WareOut was a mistake. It soon turns out that WareOut lacks the capabilities to detect and delete spyware, instead it fakes notifications about threats to convince user in purchasing the full version of the program. 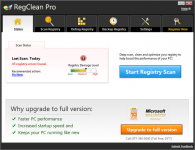 RegClean Pro is a registry cleaning utility developed by Systweak.com. This application is one of those that users want to have on their PCs to make their systems faster. However many security experts relegate RegClean Pro to Potentially Unwanted Applications. The reasons for it are explained by the method the program uses to get inside a system and the application functioning as well. Regclean Pro is rarely installed by user’s intention, more often the program looks for sneaky ways to be installed. Reimage Repair is a fake system optimization tool developed by Reimage company. The program closely resembles the other of this type, so it easily befools people. The application mimics the functions of real optimizers and even imitates system scans. However, the result is always predictable - Reimage Repair will raise a scare about PC condition. 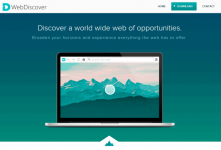 WebDiscover is a browser that is deservedly treated as Potentially Unwanted Application. It established this reputation because of its unauthorized method of installation and the malicious effects it has. The browser itself is based on Google Chromium project and is pushed for as a more functional alternative to popular web browsers.